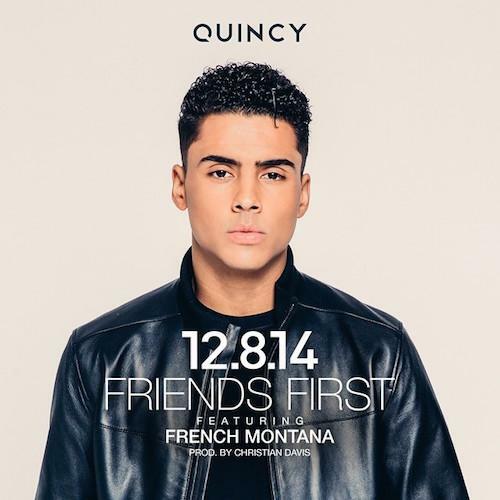 Quincy and French Montana team up for "Friends First." Quincy, a relation of Diddy (his stepson), is kicking off his own career in music with a new radio friendly r'n'b jam called "Friends First." The singer calls upon Bad Boy rapper French Montana for a feature, keeping it all in the family. The single was premiered by the LA Leakers last night, so you can stream it before purchasing it on iTunes. The production was handled by Christian Davis. What are your initial thoughts on Quincy? Do you see this song taking off? Let us know what you think of the female-friendly record.